This is a good place to die. Barren, desolate. You could lay here unmolested for weeks if not months. Yes, I think this is the place. And you really do want to be long gone before the molestation starts. It’s not a pretty sight as they have their wicked way. Of course people used to think you left the moment you died, but now we know better. So it pays to find the right place to die. It was the original Pathfinder who first discovered the key. He managed to unlock the linear progression of life phases. It had probably happened before, but he was the first to share the discovery, giving hope to our sorry consciousness trapped and withering in the human phase. Of course the Pathfinder went through the usual cycle of being ignored, ridiculed. A fool, an idiot. Achieving heretic status signalled the arrival of credibility, he had started to worry the establishment. But as the generations passed, the records of his teaching gradually gained more credence. The main reason for this was the arrival of some worrying omens which started to corroborate his wisdom. The first signs started about 50 years ago. That was when the screaming started. Yes, that’s right, screams. Screams from another world. To start with it was just isolated incidents. Mere figments of over active imaginations in the middle of the night. Echoes of nightmares past. Little did they then realise, echoes of nightmares yet to pass. At first nobody could pin down what they were or where they were coming from. But they kept coming and they kept increasing. Not only in frequency, but also in volume. Eventually some scientist whose name is now long forgotten noticed the pattern. All of the screams seemed to emanate from cemeteries. Initially in remote communities, but increasingly in more populated areas. And so now here I stand. Prepared I think. Certainly accepting of my role, my duty. Now it is my turn to take that step. Not quite blind faith but almost. It is the time for me to play my part in this struggle to turn back the ravages of time, to stop the screams. It’s my time to die – and this is the perfect place to do it. 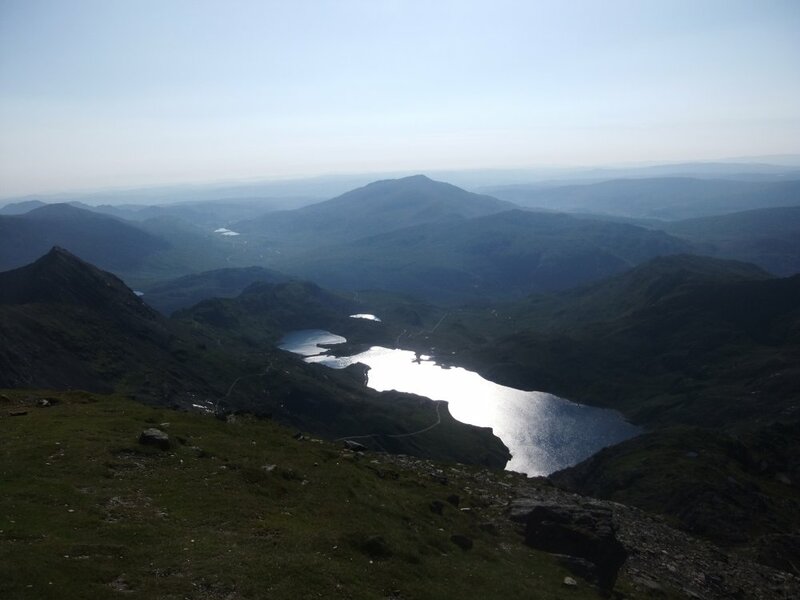 Written today, July 14, 7:30am, summit of Mount Snowdon, Wales. In a few hours the first train will arrive full of tourists with their flip flops and Zimmer frames. Not a good place to die.